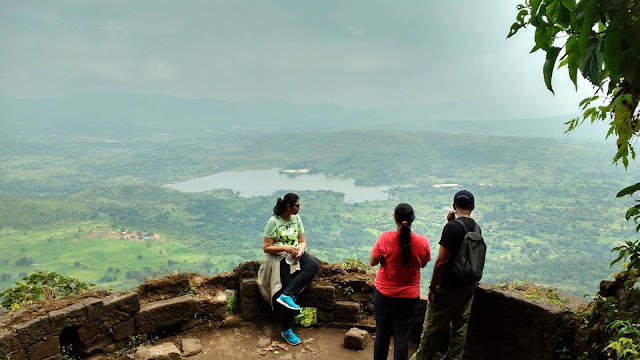 Trek to Tikona Fort on 19th June 2016 - Mapping Journeys! One of the most favourite travel option near Lonavala and Khandala for majority of the trekkers and travellers. The trek is comparatively easy compared to surrounding 3 forts namely Lohagad, Visapur and Tung. During monsoons the trail till the top is an amazing experience with heavy fog and wind all around. From the top, is the view of the Pawna lake below, and grand Tung at a distance, the twin forts of Lohagad and Visapur nearby. The fort comprises of numerous tanks and lakes, which served as the main source of water in earlier days. The fort also encloses within it the famous Trimbakeshwar Mahadev temple along with Buddhist and Satvahan caves. Date : 19th June 2016. Height : 3500 ft Feet above MSL (Approx). Cost : Rs. 1200/- per head. 07:40 am - McDonald’, Kalamboli, Panvel. 10:30 am - Start our trek. Cost : 1200rs per person. Smoking and consumption of alcohol is strictly prohibited for this event. For confirmation of the seat, full amount needs to be deposited prior to the event. Prior to making any payments please confirm about the seat availability.